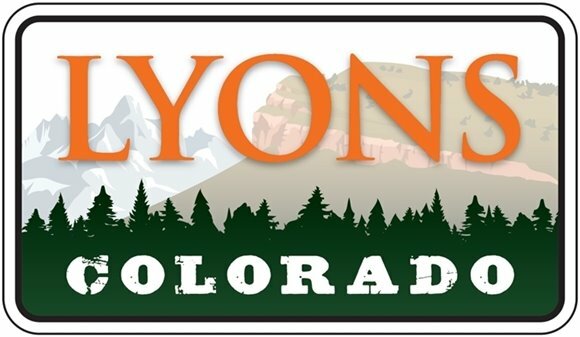 On December 21, the Board of Trustees (BOT) approved the Urban Renewal Plan (URP) for the Lyons Area Urban Renewal Authority. The Urban Renewal Plan is contained within Town limits, and consist of nonresidential properties. Urban renewal authorities (URAs) are created by municipalities to redevelop areas within their jurisdiction that are found to contain such adverse conditions that would make investment and development unlikely. An urban renewal project is a public/private partnership. The majority of the funding comes from the private sector; public investment comes from tax increment financing (TIF), which is the increased amount of property tax or municipal sales tax revenue collected within the URA after the project begins. This new revenue is generated by the increased property values that result from the project. A “project” would receive URA funding after careful scrutiny of its merits, financing, and other standards, as long as it advances local objectives, as found in the Lyons Comprehensive Plan, and the Lyons Recovery Action Plan. The Board of Trustees also approved the Conditions survey, which determined that one or more areas within the Town constitute a blighted area, in accordance with the Urban Renewal Law. Under the Urban Renewal Law, written notice to property owners is required within 30 days of the commissioning of a conditions survey, and this statutory requirement was met. While the Town had some areas of blight prior to the Flood of 2013, since the flood, blight can be found in abundance. Not every property in the URP must have blight conditions, but at least five of the 11 known conditions must be present in the survey area to qualify. Such conditions include deteriorating structures; inadequate street layout; floodplain or floodway areas; open ditches; unusual topography or inadequate public improvements or utilities. The presence of such factors substantially impair or arrest the sound growth of the municipality, hinders the provision of housing accommodations, constitutes an economic and social liability, and is a menace to the public health, safety, and welfare of the residents of the Town. The goal of an urban renewal plan is to revitalize an area that requires additional intervention in order to remedy blight, restore economic vitality and improve safety. Understanding that redeveloping existing areas is much more expensive and difficult than new development, Colorado has empowered local authorities with certain tools, including tax increment financing, to offset costs and encourage investment by the private sector in urban renewal areas. Without urban renewal, developers lack incentive to tackle the challenges associated with infill redevelopment or environmentally complicated sites. Tax Increment Financing is a mechanism that enables URAs to use the net new tax revenues generated by projects within a designated urban renewal area to help finance future improvements. All 50 states have some form of urban renewal law. or contact Jacque Watson at 303-823-6622, ext. 12.